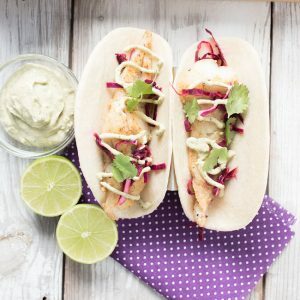 Cod Fish Tacos with Fish Taco Sauce - Easy to make, easy to love! 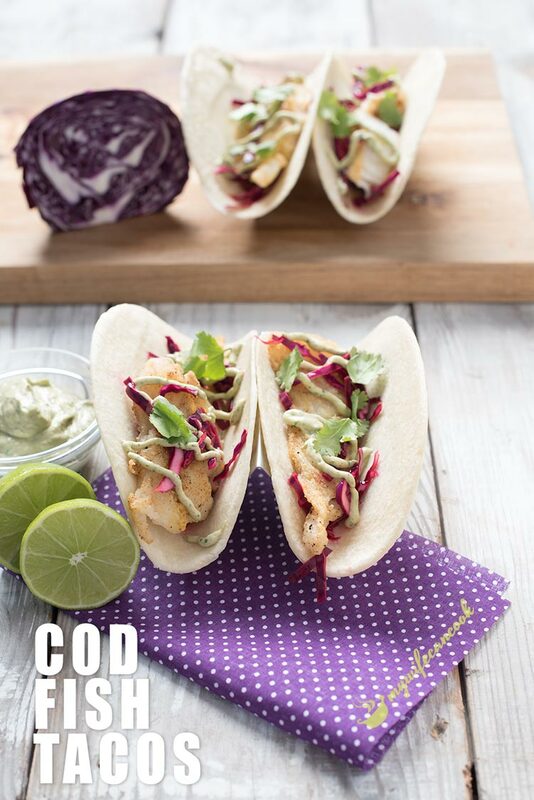 Today we’re sharing our recipe for easy cod fish tacos. 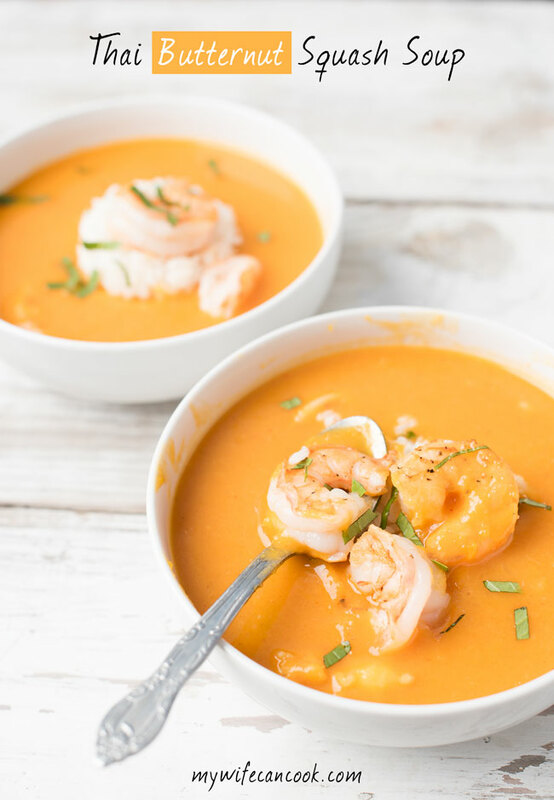 This is hands down one of my favorite new recipes and wait until you taste our homemade fish taco sauce recipe that provides the perfect finishing touch. OH MY WORD! Get ready for the best fish tacos you have ever eaten! 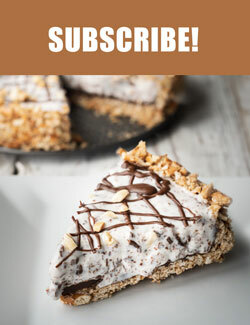 Okay, okay, I know that’s what everyone says about their recipes. And true, I’m totally, biased, but I really think you are going to love this recipe for fish tacos. They are really good. Like, this is what I’m going to request for my birthday dinner good. I am absolutely in love with cod fish tacos, but I’ll admit, it was a bit of a journey getting here. As a kid, I didn’t eat a lot of fish. In fact, if you asked me about it I would have even said, “I don’t like fish”. But I think at least part of that was not being exposed to lots of different kinds of fish and lots of different preparations. Because if I’d been exposed to these cod fish tacos as a kid, I can’t imagine that I wouldn’t have like them. I eat a lot of different kinds of fish now and cod is definitely one of my favorite kinds. It reminds me in texture and taste a little bit of scallops (which I love). And since fish tacos have become one of my favorite ways to enjoy fish, a recipe for easy cod fish tacos was a natural progression. And although we may think cod is the best fish for fish tacos, we understand there are lots of other great options as well. We also love making these tilapia fish tacos with mango salsa. And we’re always on the lookout for new great fish taco recipes to try out. 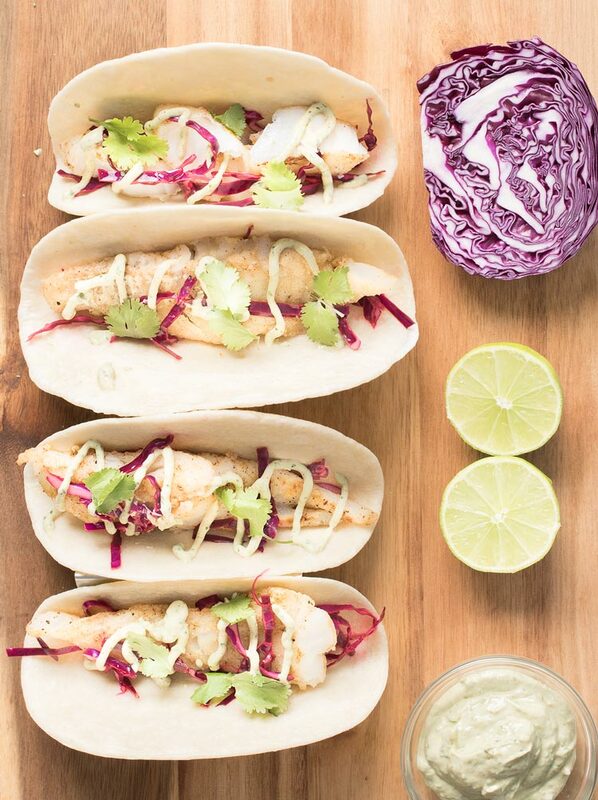 We really want to try out these baja fish tacos from Honest and Tasty, they sound amazing. And, of course, sometimes we switch it up from fish and make these grilled chipotle shrimp tacos. 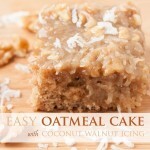 Often times when making a new recipe we will draw inspiration from older recipes. After having pickled red cabbage in our chicken shawarma turmeric rice bowls, it’s hard not to top everything with it. 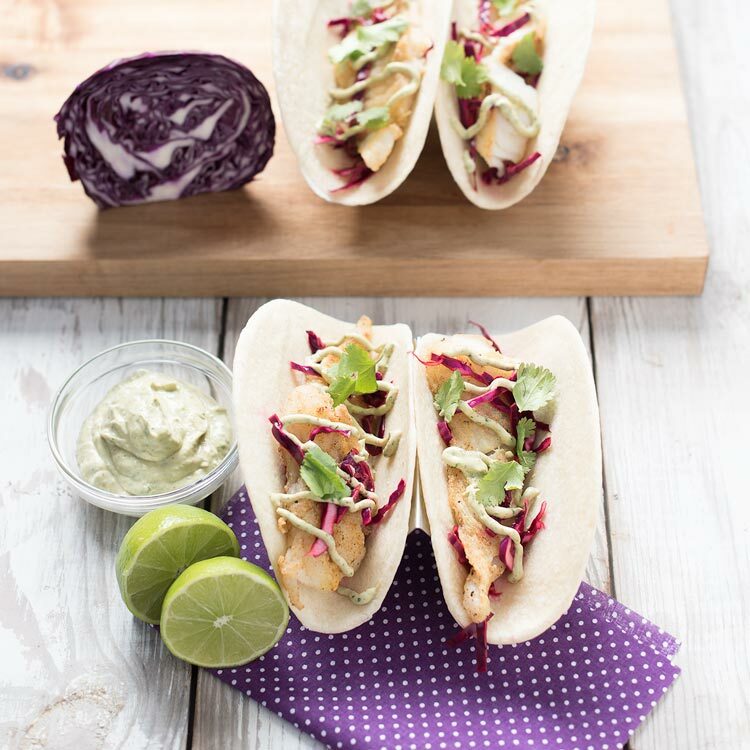 For our cod fish taco recipe we changed it up and pickled the red cabbage in lime juice with a little salt and sugar. If you make this first, it’s ready to go on your taco once the fish is cooked. 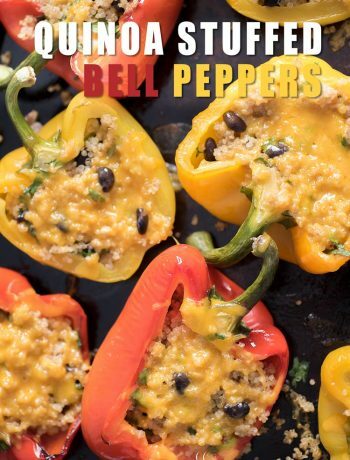 Plus it can go in the fridge for easily a week in case you have to have more fish tacos. We’ve found that when making fish tacos, keeping the toppings simple is the way to go. You don’t have to overthink it. 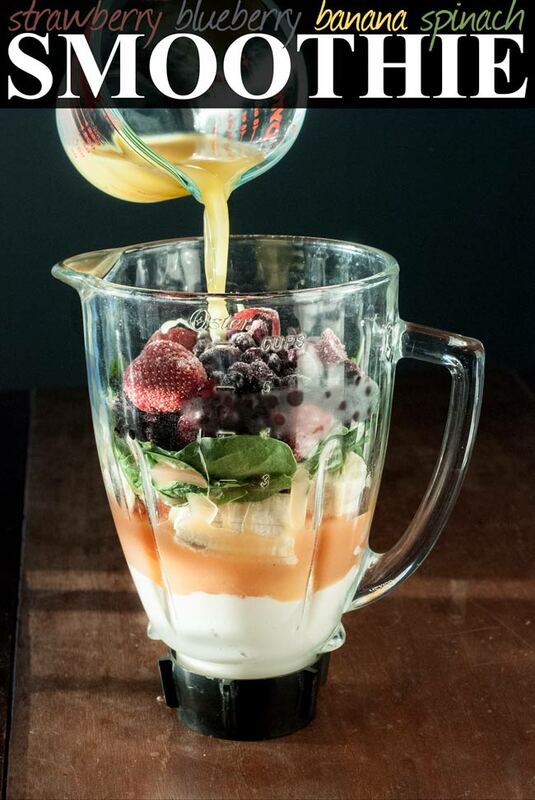 Come up with a few fresh produce items that are going to be complimentary flavors. You don’t want them to be overpowering because you want the fish flavor to still shine through. And, of course, we think a great fish taco sauce is a must. It’s the perfect finishing touch. Mix red cabbage with lime juice, sugar, and salt and set aside. Mix rice flour, chili powder, cumin, salt, and pepper together on a plate. Dip fish in flour mixture and thinly coat on both sides. Heat oil in a skillet or pan large enough to cook fish over medium heat. Once oil and pan are hot, place fish in and cook 3-4 minutes per side. Assemble tacos with fish, pickled cabbage, avocado or fish taco sauce and any other of your favorite toppings.